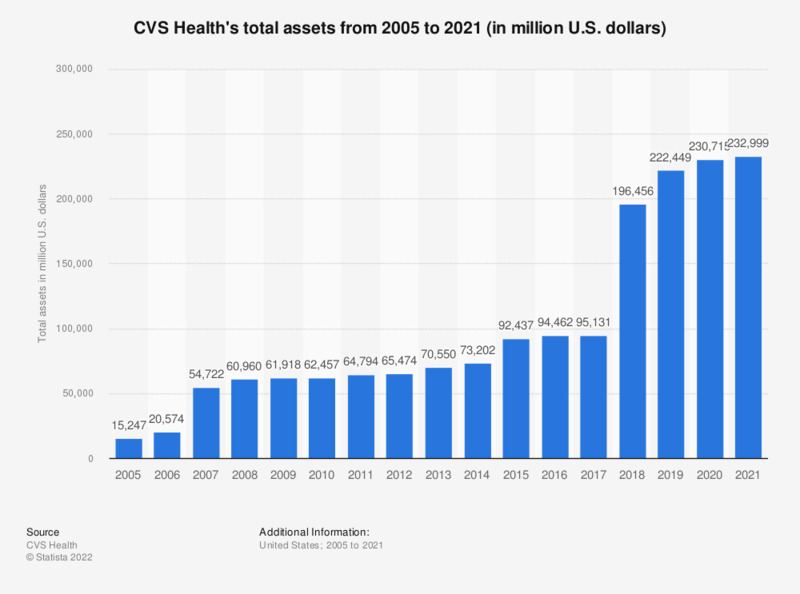 This statistic depicts CVS Health's total assets from 2005 to 2018. The CVS Health Corporation is a U.S. drug retailing company, with three major segments: CVS/pharmacy, Caremark Pharmacy Services and MinuteClinic. CVS Health is headquartered in Woonsocket, Rhode Island. In 2018, the company's total assets came to some 196 billion U.S. dollars. In 2014, the company changed its name from CVS Caremark to CVS Health. Everything On "CVS Health" in One Document: Edited and Divided into Handy Chapters. Including Detailed References. Pharmacy and Drug Stores in the U.S.